The Renault Zoe has made it into the top 10 list of the fastest-selling used cars for the first time, showing that electric cars are increasingly being welcomed by used car buyers. The data was recorded from dealers by Autorola’s Indicata used vehicle management portal and analysed the fastest-selling used cars out of 1.1 million sold during 2018 at between six and 36 months old. The results show the Ka took an average of 32 days for dealers to sell and was followed by the Hyundai ix35 at 34 days, and the Ford Galaxy which took an average of 36 days to sell. The biggest surprise was the Renault Zoe electric car, which made the top 10 in joint fourth place with the Ford Galaxy, selling on average in just 38 days. Neil Gilligan, national business development manager, Indicata UK, said the Zoe’s performance is a strong sign that electric cars are beginning to be accepted in the used market. 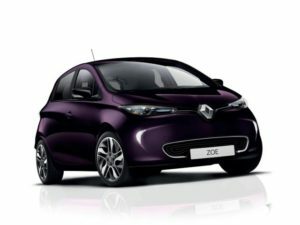 “Competitive personal leasing and contract hire monthly rates are reliant on a car having strong residual values and we may start to see electric car costs fall over the coming 12 months if used cars like the Zoe continue to be in such high demand,” he commented.